HAIZOL Online has established manufacturing contracts with over 600,000 parts and components factories throughout China. The core concept of such vast network of manufacturers is for our international service team to represent the best interests of our procurement partners. HAIZOL Online has been actively servicing our procurement partners from more than 100 different countries worldwide, successfully established long-term, profitable business relationships. 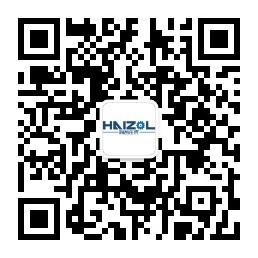 In addition, more than 50,000 industry supply chains, in both upstream and downstream, service providers have cooperatively joined HAIZOL Online to enhance production efficiency and reduce manufacturing cost. Since its inception in 2015, HAIZOL Online has enthusiastically awarded multiple rounds of committed financial investment from the world's top establishment and financial institutes such as Haier, Woofoo Capital, Eastern Bell Capital, Stala Capital and Hongtai Capital Holdings. Setting up a business account on Haizol.com is 100% free for all sourcing professionals. Our online community connects manufacturers with thousands of reliable suppliers from across Asia. Having worked with sourcing companies such as General Electric, Schaeffler Group, Haier, Daewoo, Siemens, ABB, Heidelberg and Bosch, Haizol personally verifies all suppliers to ensure genuine business transactions. Our unique rating system allows users to view feedback from previous sourcing professionals for each supplier on our platform. Our business-to-business model is structured to increase efficiency, eliminate unnecessary delays and hassles that were often experienced by sourcing professionals and suppliers in the manufacturing industry. We aim to provide streamlined exchanges between parties by leveraging the power of the online world. Many companies who are listed on our platform can strategically position themselves for long-term growth. Our online marketplace is one of the largest and most reputable in the industry, giving outsourcing companies the most accessible gateway to the biggest suppliers in Asia. The online platform and the relentless advancement of secured internet technology play a vital role in consumer and commercial sectors, but on one has predicted that such virtual ecosystem would have a direct impact to the manufacturing industry. From the procurement of raw materials, to the purchase of manufacturing equipment, financing, to product testing and delivery can all be linked into one highly secured, effectively managed and boundlessly accessible network. In the near future, with the continuation of internet technology advancement, the manufacturing industry will be fully integrated into a global, borderless allocational platform. Haizol.com will be the leader in the manufacturing industry in its pursuit to achieve internet plus manufacturing technology. Our support team is here to answer any questions you may have.